At Americrawl, years of hands-on experience and aggressive education in crawl space and basement science have resulted in unsurpassed solutions. Our vast storehouse of advanced methods and proven installations provide custom remedies for every foundation imaginable. Patented systems include a Lifetime Transferable Warranty that applies to the home, regardless of ownership change. We look forward to giving your foundation a "physical," and curing your crawl space and basement headaches with an applicable treatment. Bowing Basement Walls "Horizontal Deflection"
From imperfect construction to hydrostatic pressure from the earth to the entire weight of the house, the foundation of your home continually deals with pressure from all sides. When outside pressures becomes too much for the foundation, your home faces a variety of problems ranging from superficial to possibly devastating. Americrawl specializes in foundation repair and basement wall reinforcement as well as basement and crawlspace waterproofing. Heavy backfill such as clay can create a great deal of pressure on foundation walls, with its weight pushing on the sides of walls and causing them to buckle inward. When this happens, cracks will form on the top of the foundation before advancing to the bottom walls inside of the basement. Once you see the cracks, they’ve already broken through the entire wall- and now have the potential to leak. 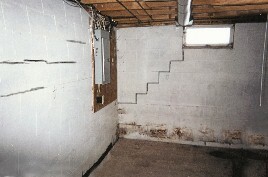 Basement walls will usually begin to bow before you can see any cracks. This bowing is sometimes difficult to see, but any bowing at all is an indication of a weakened structure. This can be from the external pressures on the foundation, and it’s only a matter of time before this cracking shows on the inside of the basement. Brick walls are just as vulnerable to bowing and cracking as concrete and are also susceptible to crumbling mortar. Cracks in the walls that are even or bigger at one end than the other accross the wall or stair step cracking. Floors that are not level. Doors, cabinets and windows that do not shut properly. Cracking in the upstairs plaster and/or drywall. Cracking in the exterior brickwork and or caulking. Leaning of outside chimneys and or porches. If your foundation walls are bulging in response to area flooding, they may be at the risk of collapse. Do not delay in seeking expert advice in this situation! 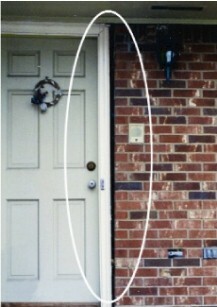 Americrawl's inspectors are trained to help you with bowing and buckling foundation walls. The ECP® Wall Anchor System was developed by the innovative design team of Earth Contact Products in conjunction with engineers and tradesmen who became frustrated with the flaws and weaknesses of other wall anchor systems and repair methods. ECP® Anchor Systems utilize proven engineered methods to secure and stabilize basement walls experiencing horizontal deflection, or "bow in". Other methods such as carbon fiber, pilasters and I-beams do not provide any appreciable lateral resistance to soil pressures. They all rely on bracing into your floor joist system which comromises the integrity of your home.CLICK HERE for an ECP® Wall Anchor Brochure or on the brochure picture. 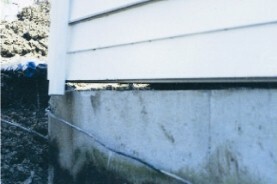 Foundation Wall Cracks, Settling "Vertical Deflection"
A house is only as strong as its foundation. But regardless of how well built your house is, poor soil conditions, changing seasons, and moisture in the soil around your house will stress your home’s foundation by expansion and contraction of the soil. Foundations may differ from region to region. An older Indiana foundation will usually be a block foundation(sometimes made with cinder block) in basements and crawl spaces. Whereas newer Indiana foundations will be a solid concrete foundation in basements and concrete block for crawlspaces. Southern Indiana and Northern Kentucky will have mostly solid concrete in both basements and crawl spaces. Wherever your home is and whatever type of foundation you have, it could still suffer the same damaging effects of settling. Your house is a heavy structure. If the earth below the foundation is of different densities (stone in one area and soil in another, for example), the foundation can crack and settle unevenly. If you’ve noticed the floors creaking, windows and doors sticking, or you see water in your basement, it’s possible that you’ve had movement in the foundation. When water seeps into the ground around the foundation and builds up, it’s called hydrostatic pressure. 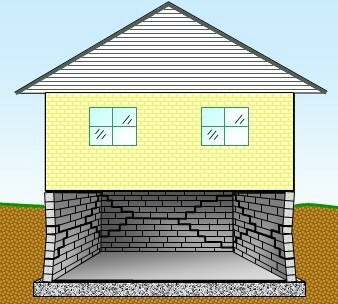 The higher the water column up against the foundation, the more weight and pressure it causes. This water expands and contracts the soil drastically, which continually adds and takes away pressure on your walls. 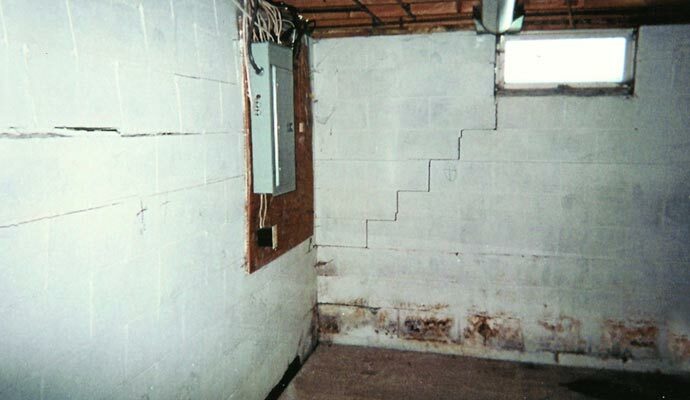 As hydrostatic pressure increases, water will enter your basement any way it can, seeping through porous concrete and block wall foundations, working through cracks, seeping through the wall joint, and entering your basement. The swelling of the soil under your foundation will actually lift up your house! When water dries out around your foundation, the house will settle down again, sometimes further than its original position, causing serious foundation damage. 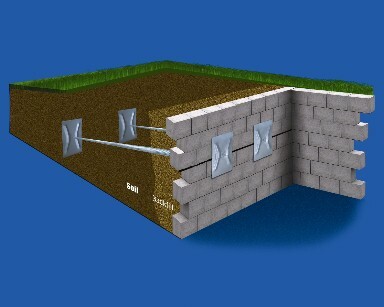 The pressure against your wall decreases dramatically and the soil shrinks. This expanding and shrinking creates lateral pressure on the basement walls that can create horizontal cracks across the midpoint of the wall and will weaken the walls. In some cases, the soil is both wet in some areas around the foundation and dry in others. When this happens, pressure on your basement walls from the outside is unevenly distributed, forcing strain on some walls or sections of walls more than others and causing cracks. Many homeowners find cracks in their foundation walls long after they’ve formed. These homeowners can become very distressed, thinking that the crack has suddenly appeared. While that may not be the case, it is important to treat all wall cracks as potentially serious problems until they’ve been assessed by a professional. 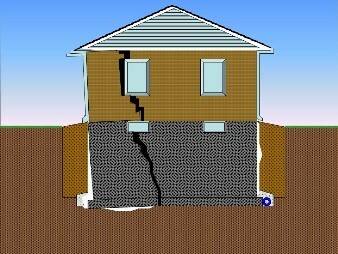 Cracks tend to form most often at weak points and openings in your foundations walls. These include corners, edges of basement window frames, pour lines, holes for service, pipe penetrations, long spans of wall, and tie rods in your foundation. If you find a crack, check on it regularly. If you suspect that the crack is moving, spreading or widening, the fatigue on your basement walls is increasing, which will lead to further damage and eventual foundation failure. Monitor the crack’s length by marking off the ends of the crack on the plaster, tile or brick with a pencil. Be sure to also draw several “alignment” marks across the crack at various points to ensure that the crack is not shifting unevenly. Add the date on the side of the marks to monitor how quickly the wall is deteriorating. 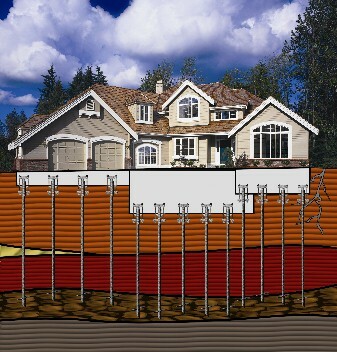 Ideal® Helical Piers / Piles "Underpinning"
When the foundation of your home is compromised with serious cracks and settlement problems, look to Americrawl and IDEAL Foundation Systems to put you back on solid footing. With engineered products and methods, and hundreds of relieved customers, we are your responsible choice when you need foundation repairs. An Americrawl Foundation Service certified installer will analyze the foundation and gather necessary data for foundation remediation design. Soil information will need to be obtained to determine pier depth necessary to achieve desired capacity for each pile. A final design is presented indicating pile locations, helix size, central shaft requirements and bracket specifications. The installation of Ideal® Helical Piers under a damaged home, commercial building, or concrete slab, transfers the load of the structure to the engineered helical piers. Proper installation of helical piers prevents the foundation from sinking. Making your family home safe and secure once again, IDEAL®Helical Piers have been tested and refined in the tough training grounds of commercial construction. Relied upon by architects, construction companies and builders around the United States, the IDEAL® range of foundation repair solutions are a complete answer to a complex problem. All Americrawl installation professionals are fully trained and certified in installation and repair procedures. CLICK HERE for an Ideal® Helical Pier Brochure or on the brochure picture. A crack in a poured wall is generally caused by concrete shrinkage and this shrinkage will continue for three years—even longer—after the walls are initially poured. Continued factors such as structural settling and soil expansion and contraction can worsen cracking and separation. A long-term, flexible solution is needed to permanently repair the crack, even during continued wall movement. Injection sealants are a proven innovation in crack repair, yet continued shrinkage of the wall, structural movement and other factors have caused these repairs to eventually fail. Therefore, if your repair method is injection alone, the crack will often get larger and re-leak. Americrawl searched for a better way and we have found it! The SealFlex Crack Repair System is a permanent solution! The crack is sealed with a special flexible sealant on the surface of the crack from top to bottom. This bead will slow, and in many cases stop, the flow of water through the crack. Then a strip of 3 1/2" wide, beveled SealFlex open cell foam material is affixed to the sealant, tucking it into the AkwaGard waterproofing system or drainage created at the floor. An overcoat of special sealant is applied over the SealFlex foam strip, overlapping onto the concrete wall at least 2" on each side. The beveled foam strip is covered completely, creating a sealed patch from the top of the crack to the bottom. The beveled foam is a bond breaker between the top coat of the sealant and the wall and serves to wick any water that gets past the first bead of sealant down to the drainage below. 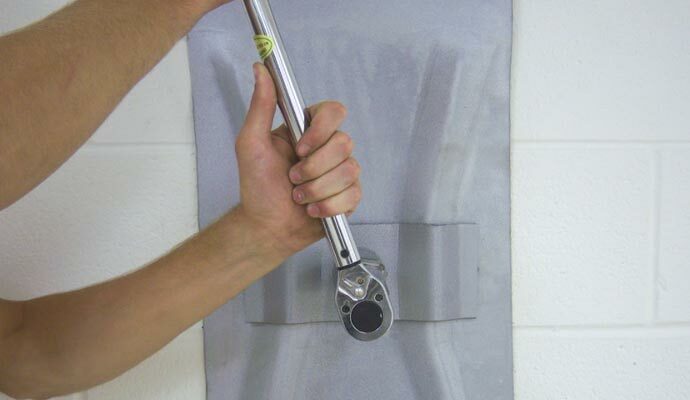 The SealFlex Wall Crack Repair System will never crack or leak and can flex as much as 3/4", making it a dry, permanent solution for wall cracks!